Welcome to another Pokemon Center catch-up post. This time, we’ll be going over the first release from the Pokemon Fit series. The first part of the release came out July 13th, the same day as the 2018 Pokemon summer movie came out. The second part of this release, which will include all the Pokemon that weren’t part of the original release, is scheduled for November 2018, probably coinciding with the Let’s Go Pikachu & Eevee games. The series is called “Pokemon Fit” because the Pokemon are designed to be smaller plush that can easily fit in the palm of your hand. My consensus on this line? Everything is adorable! I don’t have pictures unfortunately of all the Pokemon in this release, but here are some! I love Omanyte and Shellder: they look so goofy! Not pictured here (but you can see them in the group picture at the top of this post): Jolteon and Eevee. I think Eevee looks especially adorable! Shout out to Exeggutor who ended up with a nice looking plush. Mewtwo should be included in the next release. Ducks! This release included Farfetch’d (who looks amazing) and Golduck. Psyduck should be in the next release. Grab bag of plush! Sandshrew, Diglet, Machamp, Geodude, and Alakazam. Geodude looks so grumpy, I just want to hut him! Dragonite (Dratini and Dragonair will be next batch), Drowzee, Arcanine, and Voltorb! I love Dragonite’s plush, he is precious. Plush I’m excited for in November: Clefairy, Vulpix, Raichu, and Dragonair. 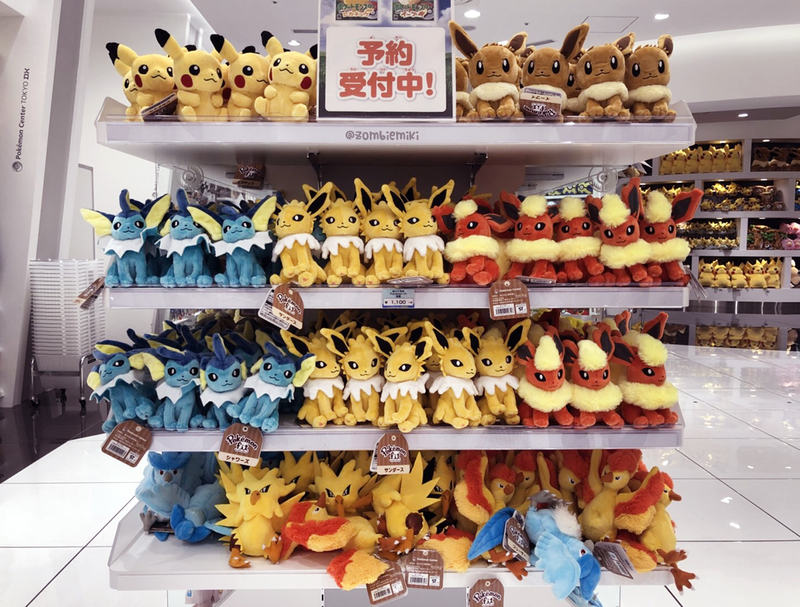 Plush I’m excited to see (although I don’t collect them): Tauros, Cubone, Ponyta, Abra, Vileplume, Zubat, Pidgey, and Butterfree! I’m also excited for Vulpix! I just got my Flareon in the mail and I love him! !